Straight Talk and NET10 issued a press release today announcing that the iPhone 5C and 5S would be available exclusively at Walmart stores and online beginning Friday Dec 13. The iPhone 5s 16GB will be sold in-store and online in Space Gray, Silver and Gold for $649. The iPhone 5c 16GB will be available online only in White, Blue, Green, Pink and Yellow for $549. The iPhones are already on the Walmart site but are currently listed as out of stock. Walmart will be offering interest-free financing on the iPhone 5S. The financing offer is only available in-store to qualifying customers using a Walmart Credit Card. The offer ends Dec 31, 2013. The press release doesn't reveal which network the iPhones run on. 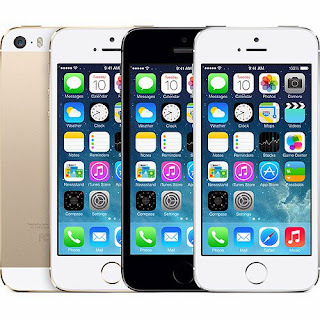 Straight Talk and NET10 currently offer Phone 5, 4S and 4 models that use the Verizon network. Straight Talk's Facebook representatives have said that the 5C and 5S will use AT&T. However they also said the phones would be released on Dec 6 so I wouldn't count on them being right about AT&T. Today's announcement is also vague about whether the new iPhones will support LTE high speed data, It quotes F.J. Pollak, CEO and President, TracFone Wireless, Inc as saying, "Our growing lineup of premium smartphones with the addition of iPhone 5s and iPhone 5c reflects our dedication to providing consumers with affordable plans on the top phones on the nation's fastest and most reliable 4G LTE networks." That statement seems to imply that the iPhones will support LTE without actually saying so explicitly. Currently, only Straight Talk and NET10 phones on AT&T and Sprint get LTE. If it's AT&T and LTE its a decent deal. If it's Sprint and its LTE, obviously its not a good deal. I'm surprised they went with full retail. There's no advantage to buying from them over buying a truly unlocked phone from Apple. Sprint does just fine for the majority of civilization. Sprint on ST is non-roaming. Therefore, it barely works when traveling. @zach was referring to the price of the phone itself, not the network. iPhone 5S is $100 less on Virgin and Boost. If it were to be on the Sprint network, it wouldn't make sense to go with Straight Talk in my opinion. Buying the units from Apple would make more sense than buying from ST if the ST models are locked to ST service. Buying from Apple would let you use the iPhone on other carriers as well. Except if it runs on Verizon. Nope, the 5S and 5C will run on ATT. Well then if it is indeed GSM at full retail might as well buy direct from apple. Except they do not offer nano sims.. yet (not including using a sim cutter). Aio Wireless sells these models ready to go. The $55 plan includes all taxes and 2 GB high-speed data. ST's plan is roughly $50 after taxes are added. If Straight Talk would only offer nano seems. ATT Go Phone recenly realeased nano sim cards on the WalMart site. It's only a matter of time. eBay has several vendors who sell the ATT micro-sim pre-cut to nano sim size. Rumor is out there that Walmart is set to discontinue Verizon-based ST phones. There are lots of rumors. I wouldn't take that one seriously. What would they sell in Verizon only markets? With every rumor there is a source. Where is the link to this rumors source? Very reliable source. A guy on Facebook said a Walmart employee told him WM was no longer selling Verizon phones and that Verizon was dropping ST. When his hand was called on it, he stated he called back and the store manager told him WM would be no longer selling VZW powered phones. Better get one while you can. Again, rumors. You can't believe everything on the internet. That guy might have a grudge against ST and post things like that to discourage people from using ST. They are LTE capable. Now the question is the network. I hope it's AT&T. These are shown for sale on ST's online site. They're available in zip code 76825 which is only ATT phones. Therefore, it looks like ATT 4G is the service.